During the early 1990s, researchers once again reviewed all the major heart disease studies in order to determine what the greatest risk factors were for the biggest killer disease in the Western hemisphere. Much to their surprise they found that the greatest risk factors for heart disease weren’t obesity, cigarette smoking, cholesterol or high blood pressure, etc. but the happiness rating and job satisfaction. In other words, if you don’t like your job and if you are not getting along with your spouse, you are living dangerously. Being in a disharmonious relationship not only affects the emotional heart but also the physical heart. Having heart disease means that the whole body is sick. You cannot have a poorly performing heart and expect it to pump enough oxygen and nutrients to the cells of the body – a prerequisite for even the most basic physiological processes such as digestion and metabolism. Brain and heart researcher Dr. Glen Rein has shed some light on why the happiness of the heart is so essential to our health. He discovered that it is a matter of the heart as to whether you get ill or not. Using Fast Fournier Transformation (FFT), he converted a conventional EKG of the heart into a frequency diagram, like the ones normally made only to map brain wave frequencies. It is well-known that the heart generates its own electricity and, as he points out, is much more powerful electrically than the brain. But what Dr. Rein went on to discover was simply amazing. Negative emotions such as unhappiness, frustration, anger, hatred, and the like generate chaotic, weak and high frequency heart wave graphs. Positive emotions, on the other heart, such as lovingness, appreciation and gratitude produce very orderly, low-frequency, but very powerful waves on the graph. Dr. Rein showed that only when the heart shows coherent wave patterns, as in feelings of love and connectedness, could its energy be transmitted properly throughout the body. This may explain why lovers seem so healthy and energized. Like a dynamo, the heart is capable of feeding healthful energy into the body. Chronically negative people, those who are angry, depressed, guilt-ridden, anxious or hateful, prevent their own healing by disordering and blocking their heart waves. This greatly reduces the heart’s energy production and distribution; sickness follows eventually. As the heart is the seat of the soul, we are in charge of whatever happens in the body. Truly happy people (not those who pretend to be happy) are those that have love in their hearts, and they are the healthiest people. They are their own healers. They trust that they are capable of healing from any illness. This statement, illustrated by the work of David Hawkins is beautiful. Hawkins conducted a 29-year long study that showed that the health of the human body improves or deteriorates depending on a person’s mental state. He created a scale from 1-1,000 which measured human consciousness in response to emotional frequency. He found that any state that caused a person to vibrate at a frequency below 200 (or 20,000 cycles per second) weakens the body. On the other hand, a frequency condition from 200 to 1000 makes the body stronger. Hawkins discovered that the experience of shame had the lowest frequency effect on the body. This means, basically, if you have thoughts of shame, you become very weak, and thereby susceptible to illness. Guilt turned out to be the next most weakening emotion, followed by apathy, grief, fear and anxiety, craving, anger and hate. Higher on the scale was trust, vibrating at a frequency of 250 (or 25,000 cycles per second). Trust turned out to have a strengthening effect on the body. If you trust in yourself, you naturally trust that all is well with you and with the world, even if it doesn’t seem that way. Then going up the scale are willingness, optimism, acceptance and forgiveness, reason and understanding. Love, reverence, joy and serenity had particularly high frequencies. They were surpassed only by peace and bliss. Unity consciousness – the experience of you and the world as Spirit – is the highest calibration at a scale of 1000. This is the frequency of absolute power. By bringing the higher frequencies of love, joy or faith into the lower frequencies of what we call problems or fragmentation, enables these difficulties to reveal their true purpose to us. Hence, they become opportunities for change and healing. To heal means to become whole, which means, this is the end of fragmentation. 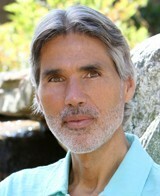 Writer and practitioner in the field of Integrative Medicine, Moritz is the author of 13 books on subjects pertaining to holistic health and spirituality such as Timeless Secrets of Health & Rejuvenation, Cancer Is Not A Disease, The Amazing Liver & Gallbladder Flush and his newest book Vaccine-Nation: Poisoning the Population, One Shot at a Time. Previous PostOctober is Breast Cancer Awareness Month: Don’t Support the Pink Campaign!Next PostMars Rover Photographs Rodent on Mars? Israeli Lobbies that Control the U.S.